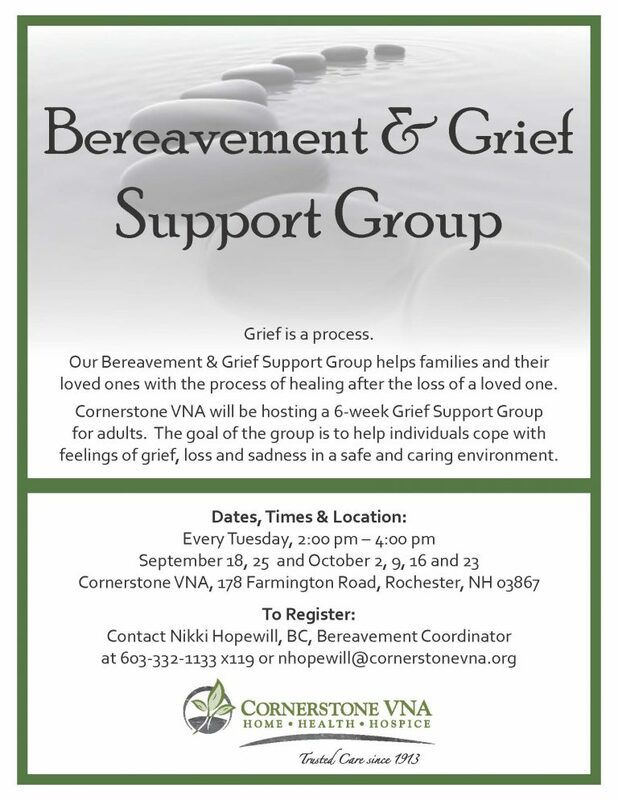 Cornerstone VNA will be hosting a 6-week Bereavement and Grief Support Group for adults. The goal of the group is to help individuals cope with feelings of grief, loss and sadness in a safe and caring environment. 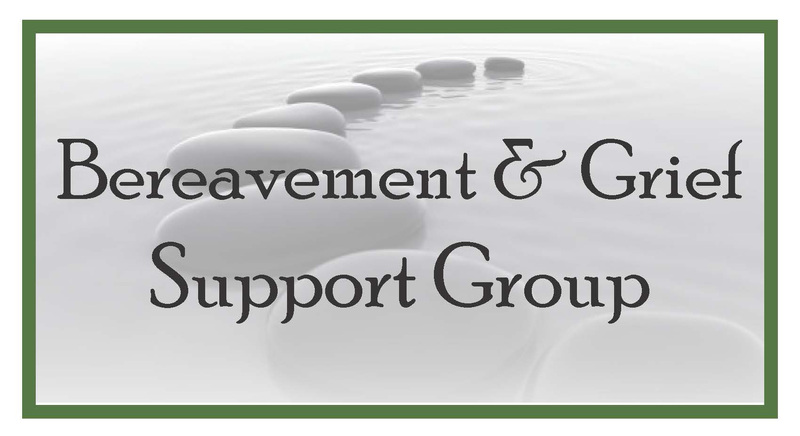 The support group will meet every Tuesday from 2:00 pm – 4:00 pm, from September 18 through October 23, at Cornerstone VNA on 178 Farmington Road in Rochester, NH. To register or for more information, contact Nikki Hopewill, BC, Bereavement Coordinator at NHopewill@cornerstonevna.org or 603-332-1133 x 119.